The job market is a highly competitive environment, which is continuously changing; as millions of financially challenged people are seeking to find more gainful employment. Not everyone has the required skills to produce a compelling Resume. That’s why there are many websites that provide free resume builders which can then be used by job seekers to enhance their chances of landing a more lucrative job. As there are other options than resume builders; such as using Resume Templates or buying a Professional Resume Writing Service, that leads us to that question…Should I Use Online Resume Builder or Not? Use Online Resume Builder or Not? Online Resume Builders certainly provide some exciting benefits. Otherwise, it would not have been so prevalent as it is. So the question is, are they the best option available for job seekers? Many people have benefitted from many resume builders out there; as it can make the process of Resume Writing more straightforward for job seekers, that is by guiding them through it in detailed steps to produce their masterpiece. No argument it is easier, but is it the best option to go for? 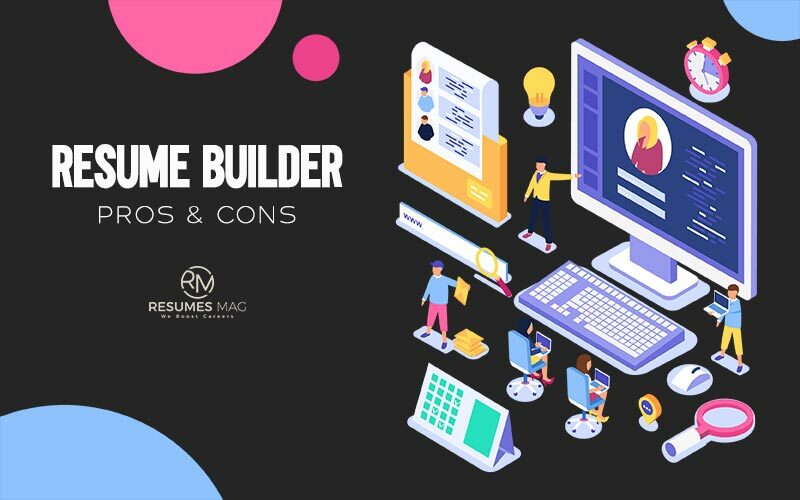 let’s take a look at the pros and cons of using Online Resume Builders to give a fair conclusion. On the positive side, many resume builders are free. There are many options available such as different fonts, color schemes, and interesting layouts; which can be used quite effectively without the need to purchase expensive software. 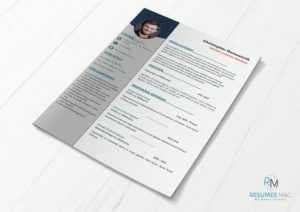 It is quite possible to create a professional looking resume, which incorporates modern design techniques. In some cases, such a resume will make a positive impression on employers and interviewers. As due to the advanced tools which are available in that resume builder, the resume can be easily readable and attractive. When using online resume builders to create a resume, you can update it later at any time, and it is relatively simple to edit old parts. Some resume builders are unfortunately hopelessly complicated to the average person. In an attempt to intimidate the competition they offer so much inline of templates and other resources that the average user has little chance of getting anywhere. When there are so many options available, it can be challenging and time-consuming to produce a resume that will get you anywhere with a skilled interviewer. Online Resume Builders have limited capabilities when compared to other options; whether using Resume Templates professionally designed to meet job market needs, or hiring a professional resume writing firm. A resume is a highly personal document which has one purpose, and that is to introduce its owner to the hiring managers. When a hiring manager takes a quick look at your resume, it is your only chance to grab the attention of that manager, which means a more big chance to be considered as a potential candidate for an interview. Online Resume Builders are a fast solution for you to have a good resume, but it is not the best option out there. The optimum solution is to hire a professional resume writer, or a resume writing firm. Yes, it will cost you a considerable amount of money; as it usually won’t be free, but you’ll have a powerful resume promoting you to reach the maximum potential of your skills and abilities. Another solution you need to consider, it is by turning yourself to be that professional while writing your resume. Knowing how to write a resume professionally isn’t that hard, you can do it when you know enough. Then you can pick a proper Resume Template to make from it your own masterpiece, while it is editable and can be updated regularly with ease. ← What Qualities a Good Leader Should have?